Richard Bartlett has worked in logistics for over 26 years running his own forwarding business until 2016 and now running ‘Export Unlocked’ which is helping businesses Export. An enthusiast for all things to do with world trade, Richard understands the many aspects of both importing and exporting. Using his vast experience, he is now working closely with Santander bank and Greater Manchester Chamber of Commerce helping businesses realise their full potential on the international stage. Richard’s work has taken him around the world helping him to gain insights and a strong understanding of how different markets operate. He has lived in Barcelona, Madrid and Milan where he gained a wealth of knowledge in trading with international markets. For example, recently Richard helped a large US business set up a full logistics solution in China. Working on aspects from setting up the logistics of shipping to understanding the different culture with customs. He has just recently set up a Manchester based company with offices in the US with 3 PL warehouse, it’s own brokerage and they are now shipping directly from Taiwan and Shanghai into Nevada. Jenny Iatalese is Director of Special Projects at the Institute of Export & International Trade (IOE&IT). She has worked in the international trade environment for the last 20 years with Renishaw Plc, starting in 1998 within the Sales department and moving to the Imports Department in 2000 where she developed her knowledge considerably on many customs matters. She later developed these skills over the latter part of her career by completing the Diploma in World Customs Compliance & Regulations and has been a member of the IOE&IT for the last four years. As a Trade Control Officer with Renishaw Plc she was responsible for all elements of international trade such as origin declarations, export control licensing, documentation, HS tariff codes, training and system auditing. Jeff Lewis has worked at all levels of business across a wide range of industries within the UK and International Sales arena. Since 2009, Jeff has worked as an Independent Export Adviser, and as an Approved International Trainer for the Institute of Export & International Trade, Chambers of Commerce, plus other independent training organisations delivering public and in-house courses on all aspects of international trade. Having started life as a military electronics test engineer with British Aerospace, Jeff’s other career experience includes having been International Sales and Marketing Manager for Recoton Corporation USA (distributor and manufacturer of consumer electronics), Export Sales and Marketing Manager for Maplin Electronics (retail and global franchise operations) and World Sales and Marketing Manager for Farnell Components (one of the largest catalogue distributors of electronic components and industrial products). As well as a BSc in Electronics, Jeff has an MBA from Manchester Business School, one of the highest rated Business Schools in Europe with an international reputation for top-rated teaching and research. Here Jeff specialised in the Internationalisation Process and Marketing Strategies. Arne is a Senior Trade Specialist for the European Union at Amber Road. He leads a team of trade specialists who monitor and provide updates on EU trade regulations in the field of customs, trade and export controls. Prior to this engagement, Arne was a Manager in Grant Thornton and Deloitte’s Customs Duties & Export Controls team, two of the world’s leading organisations of independent assurance, tax and advisory firms. As a specialist in the field of EU customs, trade & export control legislation & policy, he advised clients on customs & international trade matters and complex supply chains. Working with the EU in Brussels for over a decade, Arne continues to be actively involved in the development of EU customs policy & legislation (Union Customs Code and E-Customs) and publishes articles in leading European foreign trade journals. Corinne Nabavi has 45 years’ experience working in different business sectors setting up controls and procedures relating to Customs, Import & Export compliance. Experienced in implementing computer systems for importing, exporting, warehousing and IP for direct reporting to HMRC. Involved in projects advising on the Customs Authorisation requirements for EU & Non-EU countries being implemented into a Swiss Principal company model which then owns all the stock in those countries. In 2017, through setting up her own Customs business Corinne provides consulting and training on Import, Export, Customs Special Procedures and Preferential Origin. John has been involved in international sales for more than 30 years: 8 years selling woodworking machinery into North America, West and Southern Africa, the Middle East, and India; and 8 more selling floor covering products throughout Europe and Scandinavia and into Turkey and Russia. John has run his own international trade consultancy since 2002 and has helped companies across industry sectors to access many more export markets. As Director of Special Projects with the UK Institute of Export, John is involved in delivering international trade training programmes both in the UK and internationally, and acts as a tutor for several IOE course modules. Kevin is a key member of the Institute’s management team and an energetic and self-motivated individual with a strong knowledge of education, trade and finance and international trade, built up over many years in senior management positions. His experience includes delivering year on year sales growth of 15%+, managing revenue lines totaling more than £50m. He has managed top 100 banking connections in HBOS covering International Trade strategy and procedures, including Sports Direct, Alexander Dennis and innocent Drinks. Supported complex International Trade structures. 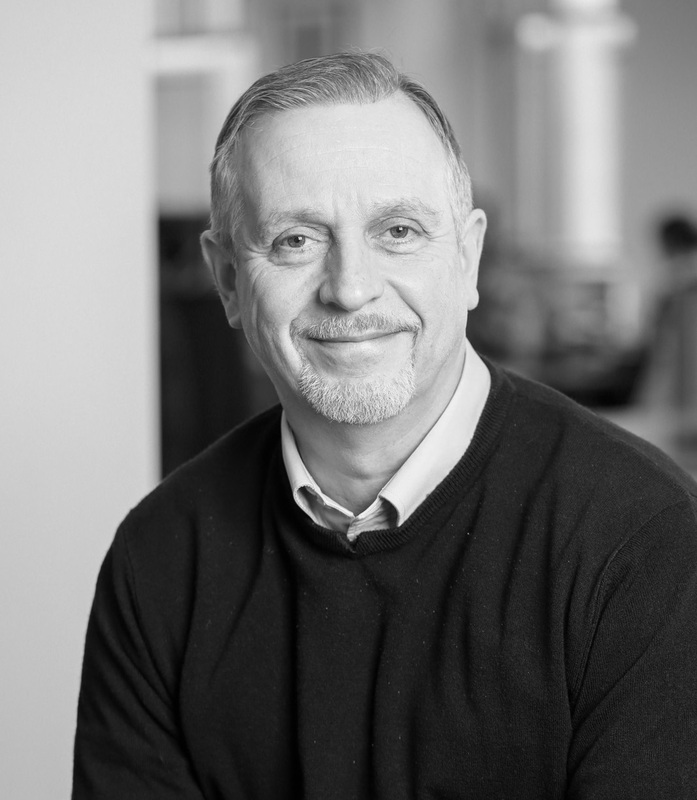 Kevin has been instrumental in winning large financial services and trade finance business with connections such as Arcadia, innocent Drinks and Towergate Insurance, and supported international trade growth in a number of SME exporting businesses. Kevin was a member of the Bank of Scotland Management Development Programme supporting top talent in the business leading large teams in diverse locations with different skills sets. Kevin has developed trade and customs qualification programmes and delivered specific learning programmes to large organisations including Scottish Enterprise, UK Export Finance, Invest Northern Ireland, Barclays Bank, Bolero and Coface. Kevin has also led overseas trade initiatives in Estonia, Saudi Arabia and Tajikistan. Rachel Stockton has over 20 years working for a major FTSE 250 company. Originally employed as the Buying Administrator, with responsibility for the VAT, she quickly gained knowledge of the Buying function, leading her onto the path of international business. Realising she enjoyed the import/export side of the business, Rachel started studying with the IOE&IT, taking the Advanced Certificate in International Trade. She followed this with the Diploma in International Trade, achieving the award for the Highest Score for Practical Global Trading. Three years later she consolidated her knowledge by studying and passing the Diploma in World Customs Compliance & Regulations, for which she attained a distinction. She has been a member of the IOE&IT for the past 9 years. Whilst working for the FTSE 250 company, Rachel developed and implemented the Group’s UK and International Customs and Compliance department. Later she consolidated the Import/Export and Customs/VAT functions into one department and was promoted to Head of this new Department. Recently, she has established her own company offering a range of services including International Trade advice, Import, Export, VAT and Logistics services. Holly has worked in international trade her whole career, most recently as a senior consultant managing projects including AEO, customs warehousing and other customs authorisations. Holly’s background is in the freight forwarding industry, which provided her with extensive experience of imports, exports, transit, warehousing and customs compliance. In 2018 Holly established her own business providing customs consulting services for a number of businesses in sectors such as food & beverage, retail, automotive and chemical. Sue Wright began her shipping career in 1989 in an engineering company in Nottingham, shipping industrial weighing machines and parts worldwide. Such was her passion for the industry and subject that she went on to study through the Institute of Export & International Trade qualifications and in 2000 qualified at Diploma level. With this achievement she was offered a position as Shipping Manager in an engineering and manufacturing company who exported entire projects worldwide. This included cross trade and imports. Armed with a wealth of experience and knowledge, in 2010 she set up her own business offering training courses and managing shipping departments for small businesses. In 2015 she was awarded a Fellowship of the IOE&IT for her outstanding contribution to the organisation.